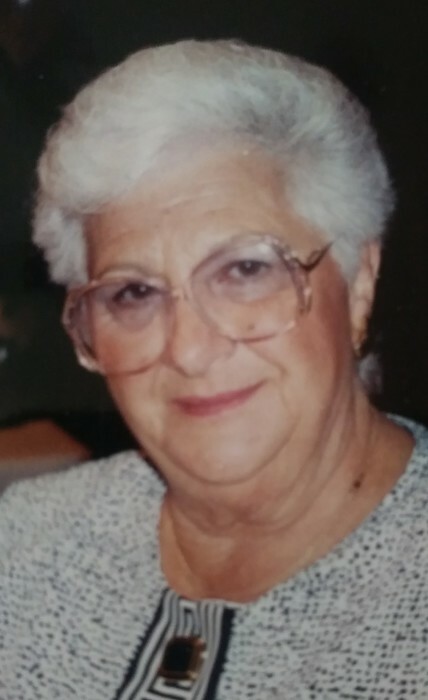 Obituary for Norma E. (Rossi) Buonanno | Nardolillo Funeral Home, Inc.
of Anchor Bay at Pocasset in Johnston, passed away peacefully on Saturday, April 13, 2019 at Cherry Hill Manor in Johnston. She was the beloved wife of the late Americo C. Buonanno, Jr. for 46 years before his passing. Born in Providence, she was the daughter of the late Gustavo and Irene (Hodge) Rossi. Norma was the devoted and loving mother of Mary-Ann Arcand and her husband Russell of Johnston, Nancy Marinelli and her fiancé Rocco of Johnston, Americo “Ricky” Buonanno of Johnston, the late Daniel Buonanno and his wife Jean of Cranston and the late Douglas Buonanno; cherished grandmother of Tara Buonanno Williams, Desiree Arcand, Cianna Marinelli, and Zachary Arcand; great-grandmother of Aria Williams; and dear sister of the Edmund Rossi and his wife Charlotte of NC and Richard Rossi and his wife Barbara of West Warwick. Relatives and friends are invited to attend her Mass of Christian Burial on Wednesday, April 17th at 10 a.m. in St. Mary’s Church, 1525 Cranston St., Cranston, followed by burial at St. Ann Cemetery, Cranston. Visiting hours and flowers are respectfully omitted.